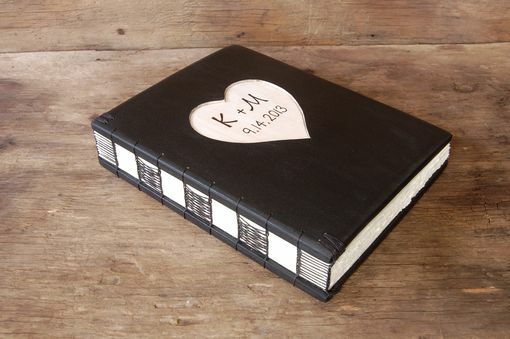 This listing is for a custom photo album made to your specifications. The pictures give you an idea of what is possible. 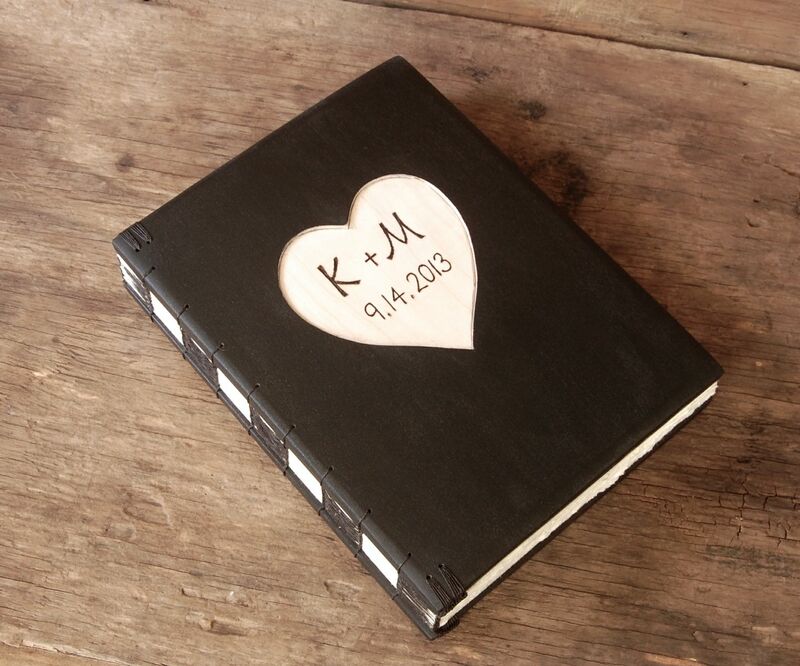 The wood covers of the album pictured feature a carved heart engraved with initials and date and are distressed in shades of black & cream. I could also use your full names or a brief message. 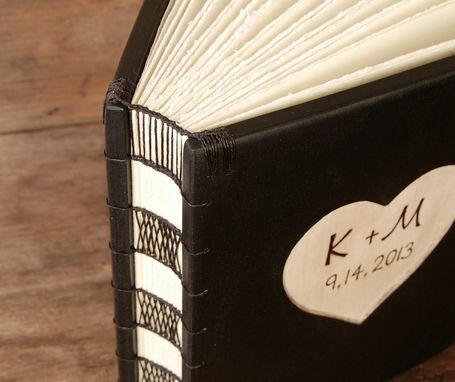 It measures 8 inches wide inches by 10 inches high and the spine is about 2 inches thick. It contains 80 hand torn pages (counting front & back) of heavy weight acid free paper perfect for holding your favorite memories. This album comes with glassine sheets between each page to protect your photos. 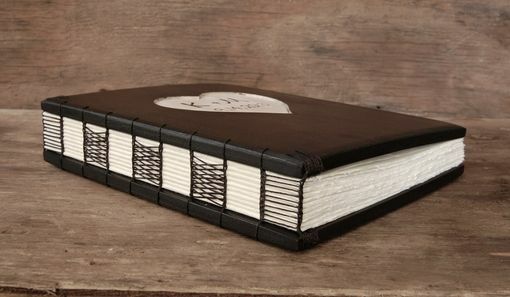 The binding complete with headbands is sewn in waxed linen thread. This binding style will allow the book will lie flat when open. This listing is for a book similar in size and style to the one pictured. The colors of the thread and end sheets can be customized to suit your preferences. 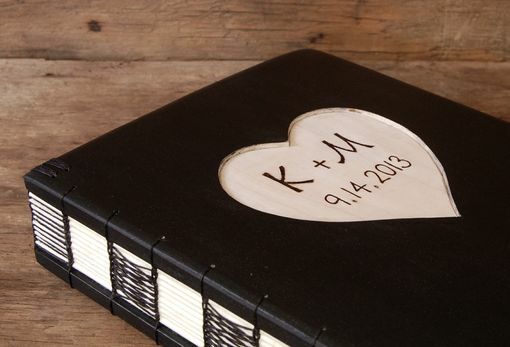 This book can also be made in other woods and different sizes. I would be happy to use a different color if you prefer something other than black. Please contact me to discuss the options.